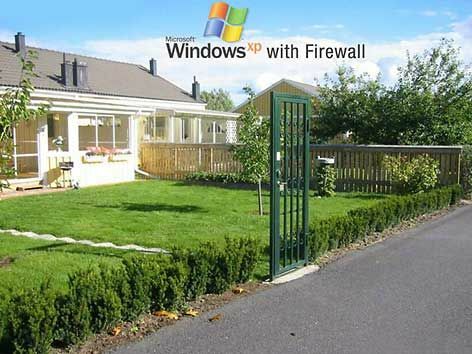 Check out Microsoft Windows XP with(out) Firewall !! you have to buy that dog. You don’t pay the dog will be quiet. The home should be a better one, which has freedom, and where your dog does not command you, or the home owner could come anytime and do anything, or send some one through the backdoor. You can afford it right away. Use GNU+Linux Operating systems. You don’t need to be smart to use GNU+Linux, you would use as if it was the current OS you are using. Why don’t you try Ubuntu or Mandriva? Just test it. perhaps, but installing would be difficult, and do some programs not work, and require a partition or something? You can still try out LiveCD, which will boot directly from the CD, and doesnot need installation. Also remember the windows programs will not work natively in GNU+Linux. But you can always find a replacement application for it. I am happy i switched to GNU+Linux, more precisely, Fedora, and running without problems. Except when some times i get the mood to play HL2 the fps is low. But i think in near future these gaming problems will start to get solved. Freedom to change and improve the software, right? As a non programmer you could practice the freedom 0 and freedom 2 . And let the other programmer guys practice the freedom 1 and freedom 3 . By freedom 0 and freedom 2 you can distribute a software freely, and run that software without any restrictions. Which is not allowed in proprietary software license.